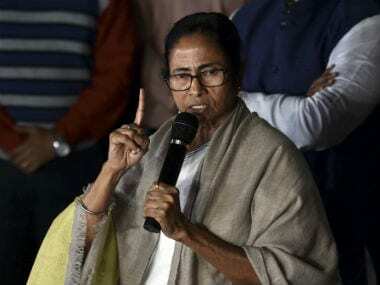 Kolkata: Opposition parties in West Bengal on Friday welcomed the move of the Election Commission to remove four IPS officers, including police commissioners of Kolkata and Bidannagar, ahead of the Lok Sabha elections. BJP national secretary Rahul Sinha said this would gain confidence of the voters. "The police establishment in West Bengal has become a B-team of the Trinamool Congress government. I welcome the move of the ECI ," he told PTI when contacted. 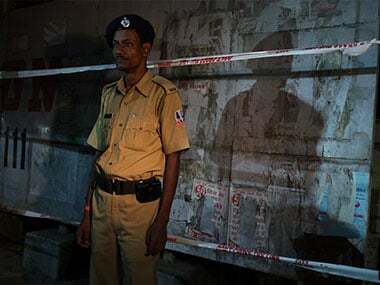 Sinha, who is the candidate for the North Kolkata constituency, claimed free and fair elections were impossible under these IPS officers who were removed Friday night. The Election Commission of India (ECI) removed Kolkata Police Commissioner Anuj Sharma and replaced him with Rajesh Kumar. It also removed Bidhan Nagar police chief Gyanwnat Singh and transferred the Birbhum SP and Dimaond Harbour SP. "Free and fair elections could not have happened if these IPS officers were there. I believe the ECI will make some other changes keeping in mind the polls," he said. Congress' Pradip Bhattacharya alleged that there were IPS officers who were working for the Trinamool Congress government and such move was always a welcome one. "We had such complaints last time also. This year we have also seen that there are several IPS and IAS officers who are blatantly working for the ruling party. I have heard that the ECI has removed a few officers. But I do not understand why it has not taken any step against the officers in Malda and Raiganj. I am hopeful that the ECI will soon decide on this as well," he said. CPM leader Sujan Chakraborty described the move as a positive. "During the chief minister's dharna we have seen how these officers showed they were working for the TMC government. These officers have forgotten to show respect to the uniform. I think this was a good move of the ECI otherwise free and fair elections were not possible," he said. The announcement of the officers' removal came days after the BJP leaders had alleged that free and fair elections were not possible under them. Rajesh Kumar ADG Pollution Control Board was made the new Kolkata top cop, while Natarajan Ramesh Babu, ADG and IGP Operations was named the Bidhannagar Police Commissioner, an ECI notification about the decisions, said. It also named Avannu Ravindranath DC (airport division) of Bidhannaga as the new SP of Birbhum and announced Srihari Pandey DC KAP, third battalion as the SP of Diamond Harbour.